An aggressive change management was critical. Abt Associates,Rockville, MD. Photo © Robert Benson. Transitioning from a 96% private office model to a dynamic open plan and collaborative environment was a significant challenge. 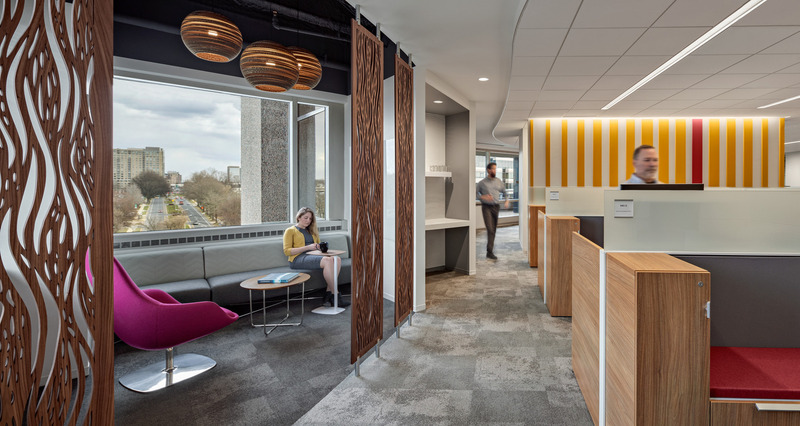 With both locations in mind, IA strategists created a single workplace strategy following a series of current-state assessments, site observations, culture evaluations, employee surveys, visioning sessions, and focus groups. Abt Associates, Rockville, MD. Photo © Robert Benson. Analyzing the collected data, IA devised and implemented a planning scenario based on a flexible kit-of-parts and designed a variety of spaces to support activity-based work, focused work, collaboration, and learning, as well as provide staff with additional space options away from their desks. Attention to aesthetic upgrades and experiential graphics incorporated throughout enrich the workplace and celebrate the company’s history and mission. Aggressive change management was paramount. 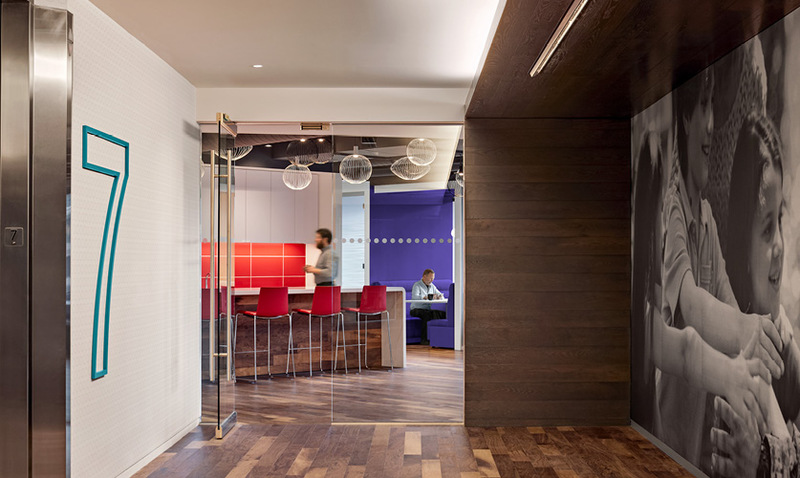 Abt’s leadership was intent on keeping employees informed and engaged throughout the design and transition process. 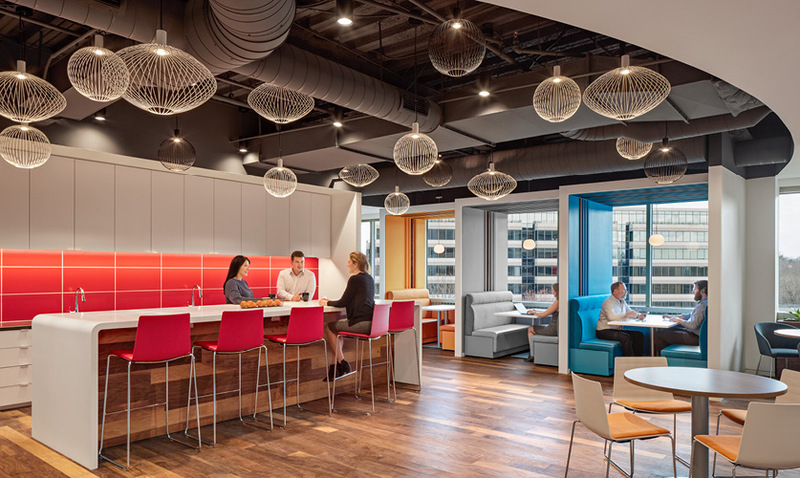 With that in mind, the use of a variety of direct and interactive vehicles—newsletters, site tours, expositions, mock-ups, and virtual reality—allowed staff to learn more about the research behind the new workplace, design, and room types. In addition, multiple workshops during construction sparked discussions around space protocols and guidelines. On day one of the move-in, a welcome pack was a thoughtful plus for each employee, and a post-occupancy survey 90 days following move-in confirmed the success of both the process and outcome. 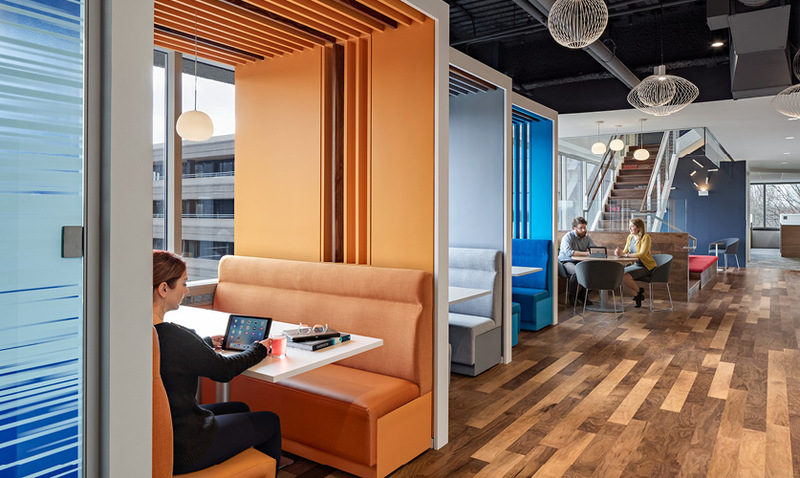 IA devised and implemented a planning scenario based on a flexible kit-of-parts and designed a variety of spaces to support activity-based work, focused work, collaboration, and learning, as well as provide staff with additional space options away from their desks.